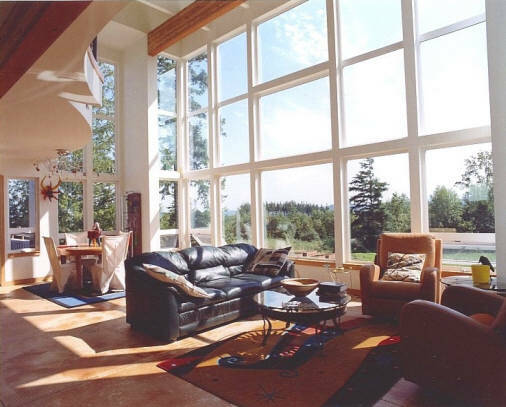 Lindberg & Smith Architects is a Port Angeles based firm covering the entire North Olympic Peninsula. At Lindberg & Smith Architects our focus is on creating distinctive and functional architecture integrating the desires and needs of each client. We apply the same level of committment and effort to the simplest residential addition or remodel that we do to a large commercial project. Beginning with an appreciation for the northwest environment and the unique qualities of each site, we develop a thoughtful integration of client needs into an exciting and functional built space. Working within the client's budget, we strive to develop creative solutions incorporating sustainable materials, practical building systems and sensible detailing to create exciting and beautiful architecture. © Lindberg & Smith Architects. All rights reserved.